Nizwa College of Technology prides itself in providing its stakeholders the appropriate support it required in terms of multimedia, graphics, events and educational needs. Through the Educational Services Section (ESS) of the Educational Technologies Center (ETC), staff and students will be assured that their planned activities and educational events will be successful and all their needs will be properly serviced. The ESS at NCT can creatively design the required publication using the latest software of graphics design. Conceive ideas, concepts, and campaigns; design, produce, work with others and coordinate in the creation of multifaceted communication materials in print, and other mediums for a variety of instructional, promotional, developmental, and recruitment projects. Work projects with team members to provide professional recommendations for concept, design, art direction, production, printing, publication signage and quality control. Define design criteria; develop concept and direction; propose, direct and create ideas about arts and photography. 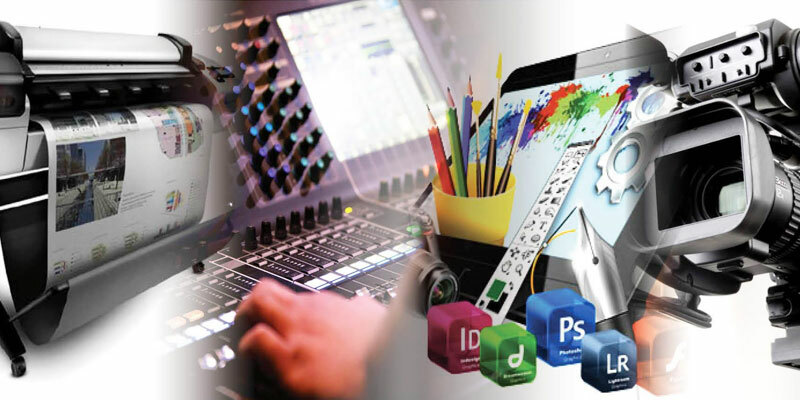 Operate a computer or use traditional techniques for a variety of graphic design activities, including desktop publishing and layout, production, illustration, and 3D animation. NCT provides a free print service for students & staff. Photocopying office provides official photocopying services for staff, of textbooks, handouts, presentations, etc. Acts as primary customer services contact for Copy Center that explains policies and procedures and resolves issues related to Copy Center services. Develops and implements procedures for Copy Center; provides input on changes in departmental policies, procedures and equipment acquisition. Responsible for overseeing of instructional and administrative materials produced at Copy Center; ensures quality control for completed orders. Responsible for compliance with applicable copyright laws; screens material presented for copying to assure compliance. Staff and students are NOT ALLOWED to load papers on trays. The Copier Machines are strategically positioned where surveillance cameras are installed. Anyone caught doing unwanted things that might damage the machine will be given corresponding sanctions. Staff and students are not allowed to troubleshoot the Copier Machines. Ask for help from the assigned technician if there are problems. Do not put things like heavy books, liquids, etc. on top of the Copier Machines that might damage it. Do not forget to logout after using the Copier Machine. NCT is not responsible for any unofficial use of account and print quota. Students will have 200 pages per academic year and staff will have 600 pages per academic year which includes printing and paper. To check balance and transaction history, login to your PaperCut Account or view the PaperCut manual. By the section of ESS we help students & staff with the audio visual needs of their events. Also we help students & faculty to create instructional videos & animations according to educational requirements. Our A/V technicians provide creative support and multimedia expertise for campus administrative, academic, and institutional initiatives. Create production sets using audio and lighting to enhance live performances. Maintain records of maintenance, repair and distribution of equipment. Record programs, services, presentations with audio equipment, operate spotlights, adjust amplifiers, coordinate graphics used in displays and provide technical support for teleconferences and webinars. College staff can book and get Audio Video support for an event; for the students who want to book support for an event, they should coordinate with student activities department or by their academic department. However, for booking any events, the staff or students must submit the request at least two weeks before the event. In case two events are booked at the same time, ESS will apply the principle of first come first serve. When requesting for service(s) via our Online Help Desk, PLEASE DO NOT FORGET THE TYPE OF SERVICE YOU WANT TO AVAIL OF (e.g. photocopying, audio/video service, graphic or web design, etc). You can find this at the bottom of the online service request form. In case of photocopying and/or graphic design (such as posters, flyers, and the like), CLEARLY INDICATE THE QUANTITY (or number of pieces). The ESS Management reserves the right to assign any project or job request to any ESS Technician. This is to ensure balance loading of jobs/projects among technicians in the ESS. IF YOU PREFER A PARTICULAR PROJECT/JOB TO BE DONE BY A SPECIFIC TECHNICIAN, PLEASE DISCUSS WITH THE ESS HOS PRIOR TO REQUESTING THE JOB/PROJECT. For large-scale projects, there should be prior agreement between the Head of ESS and the Head of requesting department / center. For revision / modification of finished jobs/projects, PROPER CHANNELS OF COMMUNICATION SHOULD BE FOLLOWED, that is, discussion of changes should be done with knowledge and consent of the HoS-ESS and HoD/HoC of requesting department/center. The ESS job/project request procedure is done on a single-project scheme, thus it is advised that those making the requests REFRAIN from adding to, or expanding the previously agreed job or project orders. In case of borrowing ESS equipment, those making requests are advised to make the requests at least 3 DAYS BEFORE THE EQUIPMENT USE. Also, the official letter of request duly noted and approved by the Dean or Asst. Dean should be attached to the request. Please take note that even though the request is properly done and with attached required documents, the ESS may not be able to provide the equipment based on scheduled use and the number of equipment available. Training requests should be coursed through and with official endorsement from OJT Department. The ESS reserves the right to accommodate or not accommodate the request for training based on the ESS staff schedule and number of projects in the pipeline. It is strongly advised for those making requests NOT TO DISCUSS THE REQUEST DIRECTLY TO THE TECHNICIANS. If the one making the request wants to discuss details of his/her request, he/she needs to discuss these with the HoS-ESS.